There seems to be a new consciousness growing in consumers regarding the toxins we are exposed to on a daily basis. Unfortunately, this toxins and chemicals are not only found in the food we consume but also in the products we use in our daily beauty and body care ritual. Even if you are very aware of what toxins and chemicals to avoid, and always try to choose products that are labeled “all natural”, not all beauty products are produced equally and many companies benefit from the regulatory loopholes, to brand their products “organic” or “all natural” when in reality they are anything but. New brands seem to be surfacing all the time, promoting their healthy and chemical free products, but if you take a closer look at their cosmetics labels, most of them contain hidden chemicals that should be avoided at all cost. While some of these non-natural ingredients have extremely low risks to your health, others are known to be carcinogens or linked to serious health problems. 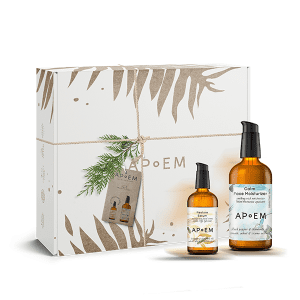 At APoEM we believe that nature provides us with everything we need for a radiant and healthy look and feel, therefore all of our cosmetics are 100% chemical and toxin free. Today we want to share with you our research of what to avoid in your beauty products to keep your body healthy, radiant and in balance. Parabens are added as a preservative. They penetrate deeply into the skin, acting in the same way as the estrogens in our body do, thus interfering with the natural functioning of our bodies’ hormones. Parabens have also been found in biopsies from studies related to breast cancer. This means that the substance is able to penetrate the mammary tissues through the skin. Parabens are found under a variety of different names, try to always avoid any product that contains: propylparaben, ethylparaben, methylparaben, and butylparaben. Though some of the parabens are nowadays forbidden, some are still allowed to be used in cosmetics. We are certain that they will probably continue to restrict the list of permitted parabens over time. Curious fact? Parabens are still allowed to be used in the food industry and as they are identified through a code, we will never know if we are in fact eating them or not. Petroleum definitely does not sound like something you want to expose your skin too, and you shouldn’t. Though petroleum derivatives are commonly found in many beauty products such as lotions, body wash and even foundation, more and more studies come to show that this toxic ingredient can cause serious health problems such as liver and kidney damage. To avoid exposure to petroleum products, keep away from products that contain: paraffin (or mineral oil, and its derivatives), petrolatum (Vaseline), PEGs (polyethylene glycol), some synthetic perfumes (unfortunately, by regulations of the perfume industry, we can’t know when synthetic fragrances contain petroleum derivatives) and ethoxylates (myreth, oleth, laureth, ceteareth). Another substance commonly used in daily beauty products is a compound half organic and half inorganic, derived from silicon, whose transformation is called “silicones”. 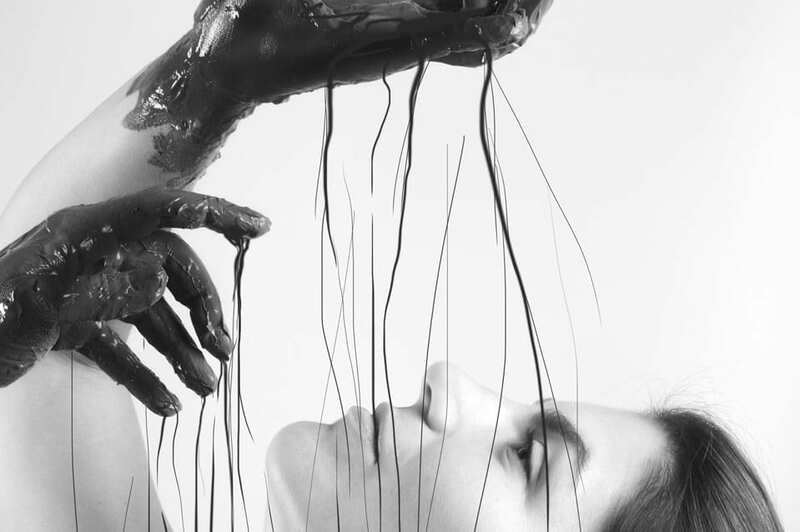 Although silicon is a very respectable mineral and even with many properties for the skin, its transformation into silicones is no longer so desirable. This chemical comes under dozens of different names. It’s usually added to give a smooth, silky and easy spreadable texture to the products. Ever wondered why some brands promote the slogan “It lasts up to 48 hours”? Usually, this is due to containing silicones, which create a so-called seal over the skin, making the product last longer. This barrier can cause congestion as also blocking the skin’s natural way of cell renewal. If you want a healthy, bright young looking skin, definitely avoid all silicones. Stay away from any product that contains: Trimethicone, Cyclomethicone, Dimethiconol and Dimethicone. While the use of formaldehyde is prohibited in the cosmetic industry, there are several ingredients, such as some preservatives or chelators, that are formaldehyde releasers. This is why we call it a hidden chemical: it is not in the INCI (International Nomenclature Cosmetic Ingredient), but it is generated or released once the product is used. These substances often appear in many personal care products, especially in shampoos, hair softeners and liquid soaps, as also in foundation. This chemical can be absorbed through our skin, and can cause extreme allergic reactions and has even been linked to cancer in recent studies. If your product contains any of the following, it can release Formaldehyde: 1,3-dimetilol-5,5-dimetilhidantoína (o DMDM hidantoína), Imidazolidinyl urea, Benzyl Hemiformal. 2-bromo-2-nitropropano-1,3-diol, 5-bromo-5-nitro-1,3-dioxano Diazolidinil urea. Sodium hydroxymethylglycinate, quaterniums in general and BTA or BTH. Unfortunately, the list of dubious reputation ingredients goes on and it seems almost impossible to avoid them. Thankfully, there are more and more companies that are aware of the danger that this implies and are rising awareness about it. Rest assured that at APoEM you will never find any of these ingredients in any of our products, furthermore all of our cosmetics are 100% vegan and in balance with nature. All of our product line comes with delicious aromas and velvety smooth textures, the true natural way.